C: → Windows → System32 → Drives → etc → hosts file. 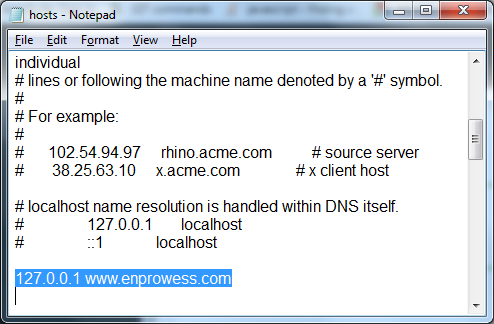 append 127.0.0.1 www.enprowess.com and save. 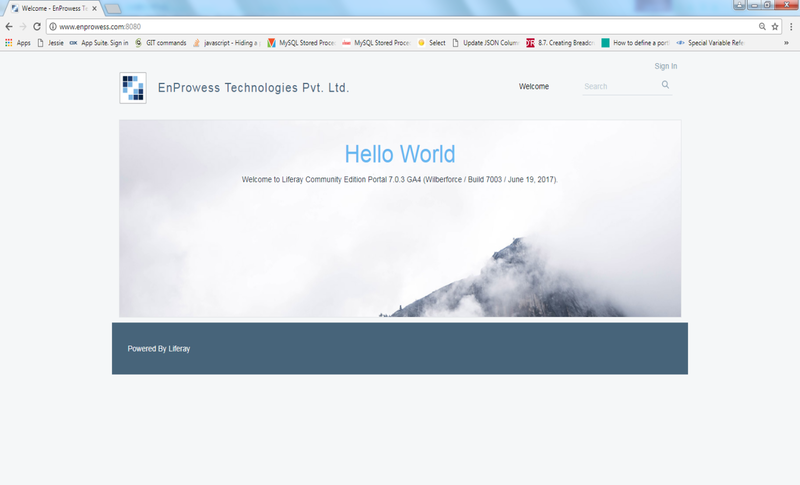 – first you would see the Liferay default instance as Liferay.com. Now lets see separation between virtual portals of the portal resources. This means making portal resources available uniquely and separately to individual virtual portals and their users. 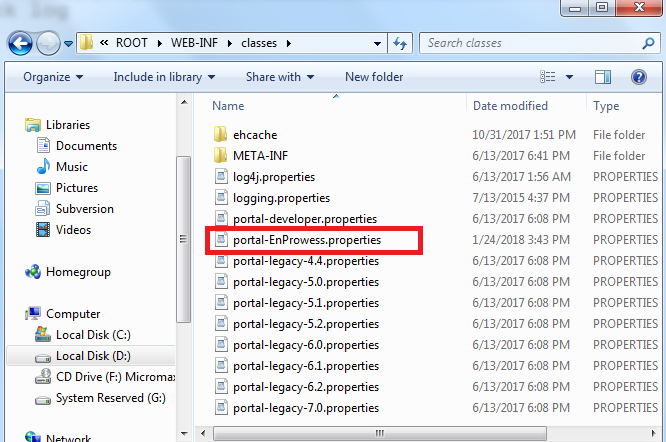 Liferay allows us to create multiple properties file for each Liferay portal instance. – every virtual copy has webId while creation. Note : To check difference you would place different property into both file. Ex: enable/disable terms.of.use.required=true/false.